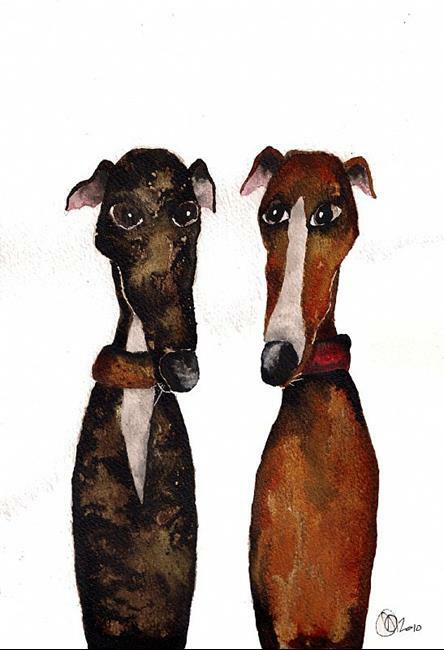 A limited edition print of 'GOOD FRIENDS" by professional artist Dawn Barker. This is a print taken from a watercolour and ink painting. The size of the print is A4 and it has been printed it on Bockingford inkjet double sided watercolor paper, which has an attractive texture. The print is limited to 100 and will be numbered on the back. I can send other items from my shop without extra cost - so if you buy others, please wait so I can send you a revised invoice, before paying.